I am a married man. I got married past 2 years ago. Now i am facing a big issue with my life partner. I am presently staying with in-laws. My wife does not like my parents (Not to speak even). when ever I go to visit my parents she blackmail me saying that she will commit suicide. I am the only son and I dont have any siblings before or after. And also she starts argues with me hours together. If i switch off my mobile she send me SMS which hurts me a lot. And also she does not show much interested in sexual life. Please do reply I am waiting for your valuable replies. If She doesn't interested in sexual activity with you. you should give her the Lovegra or Female Viagra Pill which is best medication for women and bring the interest on sexual activity. 1 do not let you manipulate with suicide, you have a right to see your parents, are the beings who gave you life, she must understand that your parents have a place in your heart and that she is tambiénm in a place very especially in your soul, they are two different loves, but can understand, will have to go to a specialist psychologist, treated both. If she does not accept and continues to emotional blackmail, best terminates the relationship. Your wife is entering a toxic and possessive relationship is manipulating you and wanting to control you through threats of harm to itself, that's not right, you should go with her to a specialist and seek counseling. 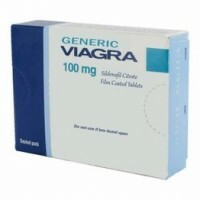 Online Lovegra is a popular form of sildenafil citrate pills developed particularly for women. It is pink in colour and is packaged in blisterpacks of 4 pills. In recent times, the open conversation of sexual conditions in women has become more commonplace. Conditions like female sexual dysfunction and female sexual arousal disorder are now being taken seriously by physicians. Although current evidence is consider anecdotal, many GPs and specialists are beginning to recommend sildenafil citrate to women. you and your wife should sit down and talk. you both should lay your cards on the table. in a relationship love and respect is very important. Hi buddy I know you are in big trouble tale to your parents and wife , in that case you should try to explain your wife as much as you can . That you neither live without you and nor parents, you love so much you parents as well as wife. And even If you are facing some sensual life related problem then I would like suggest you that try to convince her as much as you can do after that use some sensual stamina booster medicine like Viagra , Cialis they will sure your all dreams of love life. Erectile dysfunction is a condition that influences sexually dynamic men of any age and it is the powerlessness to accomplish solid or enduring erection. OnlinePharmRx, Visit and shop online drugs against erectile dysfunction. Even in a happy, harmonious family between loving spouses may experience tension, misunderstandings, differences of opinion. And it is quite natural, because in the same family there were two survivors, sometimes very different people. Differences between people are inevitable, but the couple must learn to differentiate, divide, that these differences do require a serious and calm discussion, and, as Carlson said, "nonsense, it happens." This happened in most of the relationships. Here, I can't help you right now because I don't know why she is doing so? If you know that your parents do not misbehave with her and also not doing anything wrong before then my suggestion is that your first priority should be towards your parents. If you that your’s wife intention for your parents is not good then you can register your complaint against your wife in the nearest police station on precaution based. However, if you can share the real reason why she is doing so? then maybe, we can help you out.